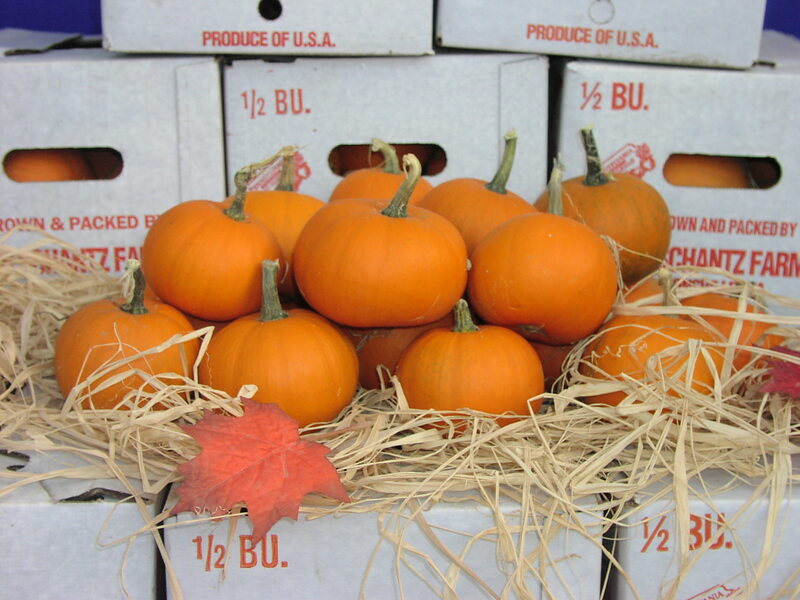 Mini pumpkins are also known as Jack-be-littles. 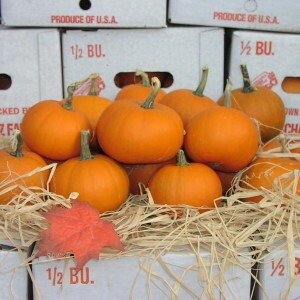 They are available in orange and white packed loose in half bushel boxes. 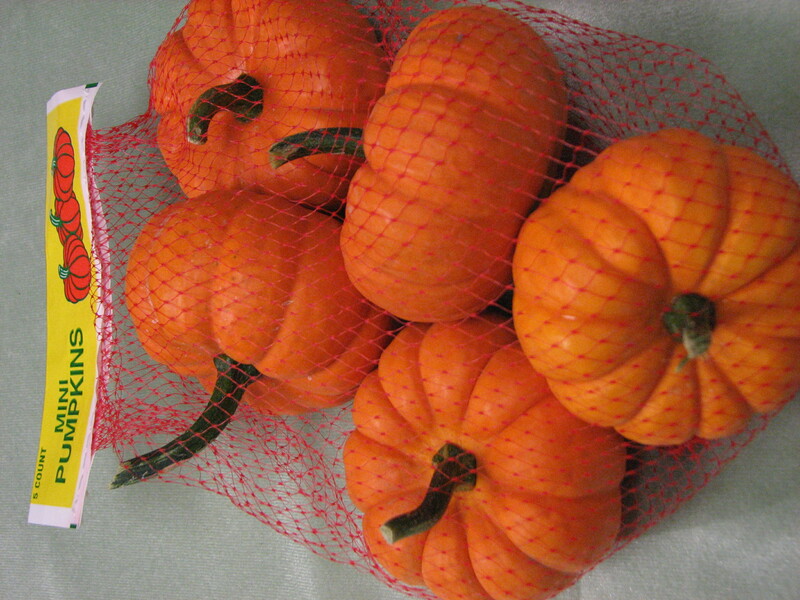 They are also available bagged in groups of 5 and packed in 1 1/9 bushels (orange minis only). 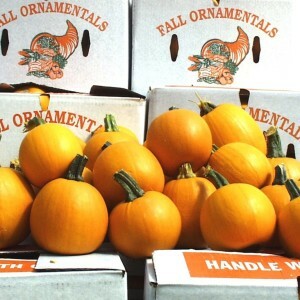 The pumpkin little, also known as a We-be-little or cutie pie, has a smooth surface and are about the size of a baseball to softball weighing about 1 pound each. They are available loose in 1/2 bushel boxes. 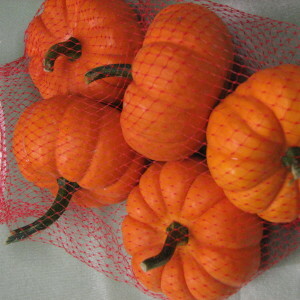 They are also available in bags of 3 packed in a 1 1/9 bushel box. 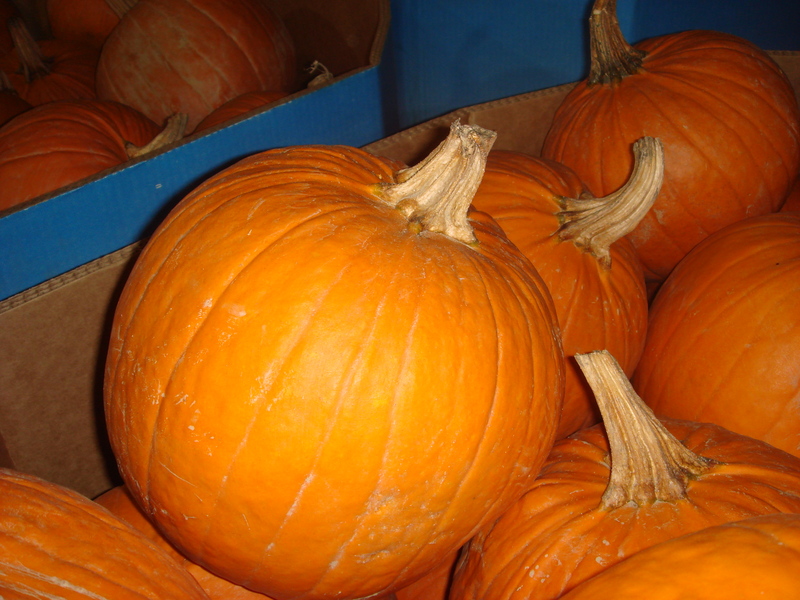 The pie pumpkin, also known as a baby pam, sugar, or spookie, is approximately the size of a grapefruit and weighs 3-4 pounds. 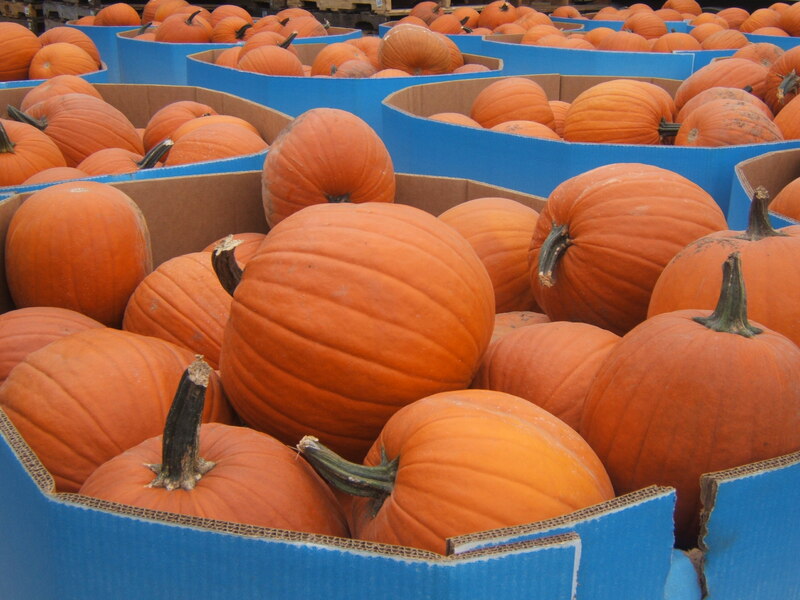 They are available loose in 1 1/9 bushel boxes and a 24″ bin. The lantern pumpkin is approximately the size of a volleyball. On average, they weigh 7-11 pounds. The are available in a 36″ bin. 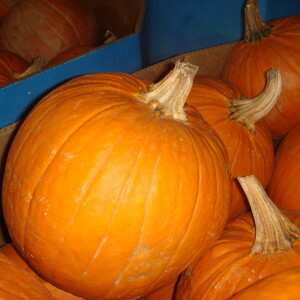 The face pumpkin is the typical carving pumpkin. 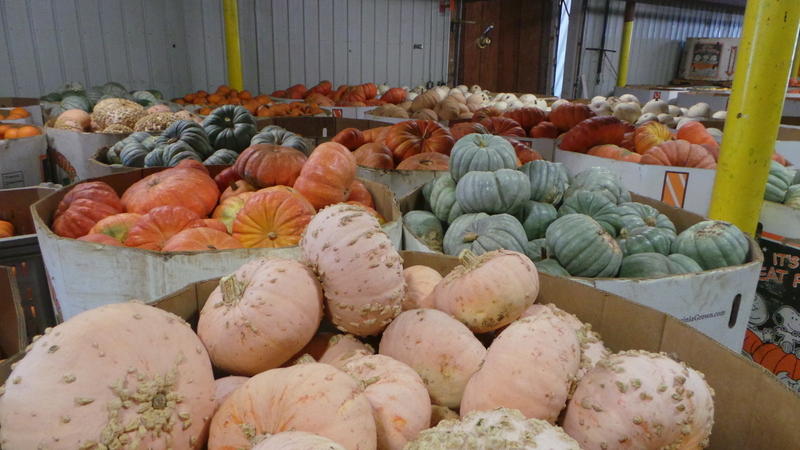 They weigh an average of 12-18 pounds and are available in 36″ bins. 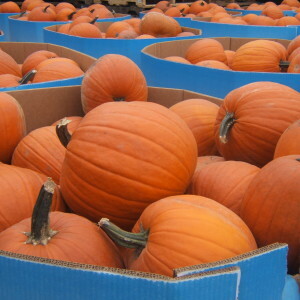 The XL pumpkins, also available in 36″ bins, weigh an average of 20-25 pounds. 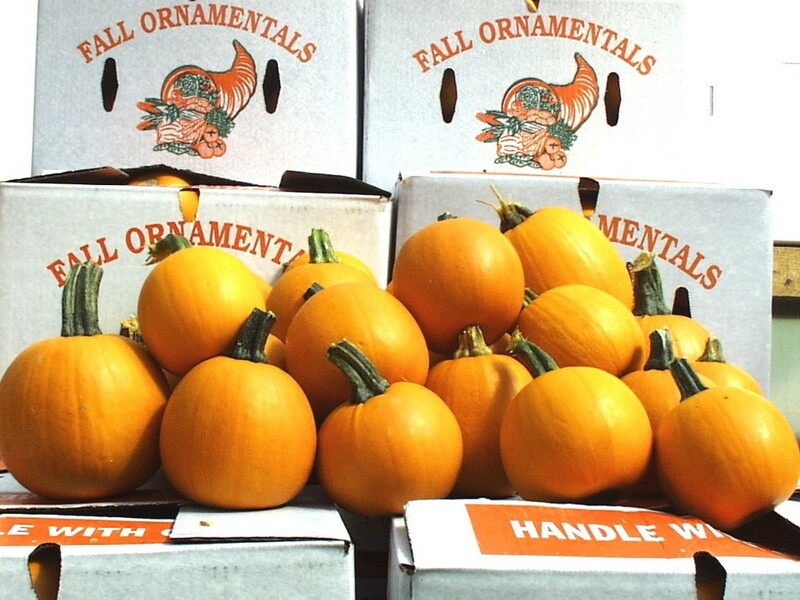 Our unique gourd bin is a 24″ bin with an assortment of large unique gourds. 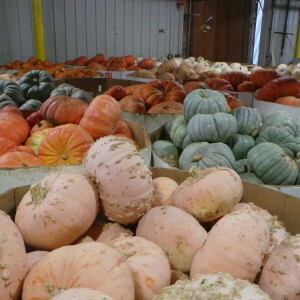 The assortment may contain jarrahdale blues, long island cheeses, fairy tale pumpkins, cinderella pumpkins, peanut pumpkins, brown neck gourds, jumbo gourds, neck pumpkins, green stripe/autumn cushew, and/or white pumpkins.